American Microsystems is a manufacturer of bar code scanning and decoding equipment. 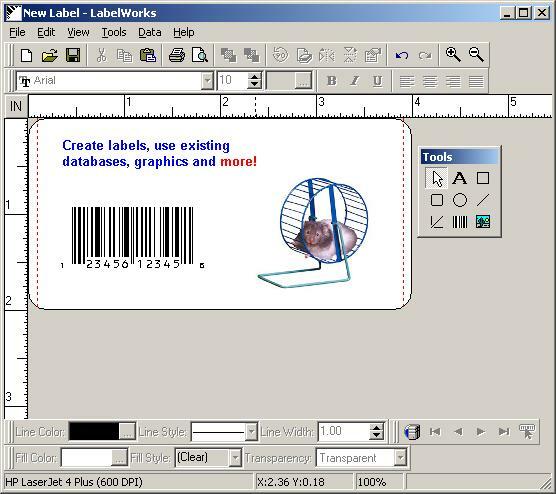 LabelWorks 3.0 is an easy to use Windows application for creating labels and bar codes. Graphics can be imported in many common formats, and can be acquired from TWAIN devices such as digital cameras or scanners. Drag-and-drop database support lets you use your existing database (in any OLE DB/ODBC format). New databases can be created and maintained in Access format. Many popular bar code symbologies are supported. The animation above shows how TRichView is integrated in LabelWorks 3.